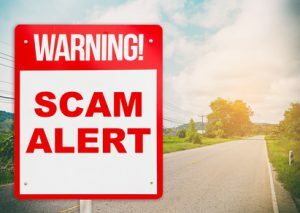 A Comprehensive Review of American Communication Network (ACN) Company – ACN Scam? The idea of making money right away without any unique skills, experience or significant investment appeals to the immediate need of almost everyone. It is not by any surprise that you found this site and you are reading this page. 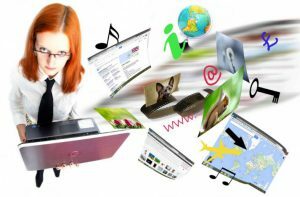 This website takes care of a specific genre of people – those who have never made money online and would want to, or those making too little online and would like to up their income streams. But before we venture deep into ways of making money online, let us have a closer look of American Communication Network (ACN) Company, to understand whether it’s worth your time and investment or otherwise. We have all heard far-reaching claims from various network marketing companies of how easy it is to become a millionaire, with instant success while making money 24 hours a day. If it was this easy, why are we not all millionaires? I’m not trying to say it never happens because the fact remains we have a good number of millionaires out of network marketing models. 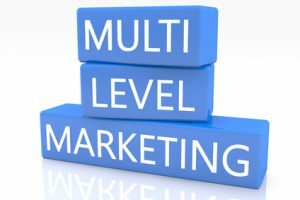 But many are scared away from network marketing- popularly known as multi-level marketing, because of the many myths and misunderstandings about this type of business. 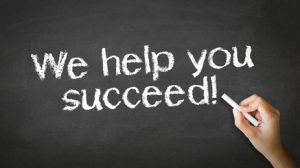 So, how does ACN perform when compared to others? Let us have a critical look. American Communication Network is a North American-based telecommunication company. It was started in 1993 by four entrepreneurs namely Greg Provenzano, Mike Cupisz, Tony Cupisz, and Robert Stevanovski. The company has more than 1,500 employees worldwide. The founding principles of ACN are based on integrity, sound business practices, with a commitment to; at all times, put the needs of the masses above other needs. But the question remains, does the company adhere to these principles? We shall find out! ACN began as a reseller of long-distance services in the US. Currently, the company seems to be the world’s largest direct seller of telecommunication, energy and essential services for home and business. Besides residential and business services, ACN is passionate about giving back to the community through its nonprofit organization known as ACN Global Reach Charities established in 2011. Services offered in these countries vary, but the company has numerous opportunities for home-based entrepreneurs around the globe. In my process of reviewing this company, it is good we understand its leadership structure. Regarding credibility, founders claim that integrity is an essential value in their ACN standards. The company is still a valued member of the Direct Selling Association, gaining praise for going over and above in the promotion of DSA code of ethics. At the very top is Greg Provenzano acting as President and Co-Founder. Greg serves as an established motivational force at both ANC leaders and independent ACN business owners. Robert Stevanoski is the Chairman and Co-Founder. He works at ensuring that ACN is staying in touch with the newest technology and also adding products and services to their portfolio. Tony Cupisz acts as the Vice President and CO-Founder. He is a natural motivator and coach. He works at ensuring independent company business owners and have the tools and materials needed to succeed. Mike Cupisz acts as the Vice President and Co-Founder. He is the brains behind the worldwide expansion. He consistently works hand in hand with international ACN leaders. Why many network marketing companies offer tangible products, ACN provides residential and business services. ACN is primarily a service provider. This company sells services that are essential to sustain a regular lifestyle in areas ranging from phone service, television, security, payment processing, gas and electricity. All these services are offered both at residential service levels and business service levels. ACN prides itself on meeting the ever-changing needs of small businesses to provide a complete line of essential services, including phone service, affordable credit card processing, gas and electricity services. In a more detailed look, here are the both residential and business services offered by ACN. With $24.99 per month, you can put your internet connection to work for you’re using ACN Digital Phone Service. This service enables you to make calls using your High-Speed Internet connection and your existing home phone. With this service, you get unlimited calling to more than 80 landlines and mobile destinations throughout the world. ACN gives its users DSL and Fiber offerings from top national providers including AT&T, Frontier and CenturyLink. Users can also add premium technical support for 24/7 assistance with setup, configuration and troubleshooting. ACN gives its users a chance to choose for wireless services from the top nationwide 4G LTE networks. There are family plans with unlimited talk, text and 20GB of data to share. This service falls under ACN’s desire to offer natural gas, solar power and electricity services. There are low fixed rates that provide customers with stable energy. There is free solar consultation competitive financing options with customized solar solutions for homeowners that are designed to reduce monthly electricity costs. ACN has placed itself as a top provider for channels on every lifestyle so that subscribers do not miss on their favorite shows. Television services offers are on both dish and directTV. ACN offers easy-to-use and affordable home security and automation. There are different ways to control your home including mobile control, voice control home control with the SkyControl panel. Anovia is a simple, affordable payment processing system that is designed to save users money. It is a complete credit card processing solution with terminals accepting payments with a mobile wallet. ACN equipment meet EMV data security regulations. These payment solutions are ideal for independent contractors, retail and shopping, hospitality and restaurants, services and online stores. ACN is another MLM which has differentiated itself from other MLM businesses by offering products and services around phone services, television, gas and electricity, security and payment processing. To become an independent business owner with the company, you must fill out the company’s business owner agreement form. You have to part with an application fee of $499 as your form cannot be submitted without first paying this fee. Once you become an independent IBO, you are granted access to your site where you can sell services to potential clients. It is essential to understand that at this stage, you are not an employee of ACN, but rather an independent business owner or contractor. Working this way will enable you to make your hours and means of operation. ACN is run by its four original co-founders with more than 1,500 employees worldwide in offices in the U.S, Mexico, Canada, Amsterdam, Puerto Rico, Sweden, Poland, Tokyo, Japan and Australia. ACN has embraced a direct selling model where Independent Business Owners bypass traditional advertising and thus go directly to the consumer. The other information I could find was some purported pay figures for their top earners as shown in this link. (https://www.businessforhome.org/2017/01/top-200-worldwide-earners-in-mlm-january-2017/) You can check out #37, #42 and #43. There are three ways to make money with ACN. Additionally, here is a video explaining the ACN’s compensation plan (https://www.youtube.com/watch?v=TekaHMuvRy4). A personal residual compensation includes a percentage of income you receive, based on your customers. These are customers you acquire through their service plans with ACN. The company will pay you anywhere between 2% – 8% of your customer’s total monthly bills. With this type of compensation plan, you get a percentage of income based on your recruits recruiting their recruits. There is a seven-level uni plan, which means that your recruits stay on your 1st level, with their recruits going to the second level and so on, all the way down to 7 levels. On levels 2-5, you earn 0.25%, 1% on level 6 and 6% on level 7. These are bonuses of one time payments that you get paid for recruiting new customers to the company. If you assist a personal sponsor to become a team trainer, you get bonuses of about $90-$275 based on your leadership rank. If your sponsor enrolls for $499 and then recruit their 6-8 customers, you become a team trainer. ACN’s Income Disclosure statement bears the warning that not all ACN’s Independent Representatives make a profit. Additionally, as per the statement, no one is guaranteed success as an ACN independent Representative. There have been two significant legal cases associated with ACN. On June 13, 2002, ACN had to settle a situation where it had ‘rogue’ representatives who were switching phone services of people without their consent. On this suit, there were approximately 135 informal complaints which were filled by the Bureau of Consumer Services. The second legal issue took effect in August 2010 in Montana. The commissioner of securities and insurance tool actions against ACN stating that it was a possible pyramid scheme. However, after an in-depth review, it was settled that the problem emanated from just a few representatives and that the actual business model was legal. The commissioner dropped the case. I believe we have come to the most crucial section of this review, a chapter you have all been waiting. ACN is a multi-level marketing business that offers an income opportunity for working at home to provide local phone service, VoIP telephone, and also long distance phone service to MLM leads. You generate these leads using their network marketing methods. With a lot of phone service providers out there, all are competing, and the question lies on how good the odds are that you will be creating wealth and instant income from this purported residual income opportunity. Just like many MLM companies out there, ACN will ask you to make a list of your leads, including your family and friends for your home-based business opportunity MLM lead generation efforts. As it stands, ACN appears to be a legitimate company that has been around for 24 years. The company seems to have legit services and products that people buy. However, based on competition out there from other service providers, the chances of making an impact and potential income remain highly questionable. Yes, you can make money with ACN, provided that you are comfortable being a self-driven salesperson and that you can convince people to buy into ACN plans. You should also be able to recruit people to you so that you can earn residual income. Does that sound easy? However, there are ridiculously high startup costs associated with ACN, and you better be a good salesperson. Additionally, people have complained about long wait they have to endure in the process if transferring services such as Internet. Other common issues relate to service speeds, which are sometimes slower than average. Are Their Better Alternatives to Making Money? 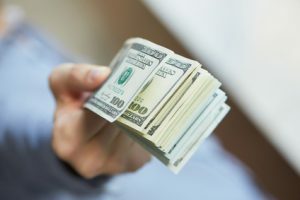 As we wind up this long review, it would be quite necessary to expose all readers to any alternative ways of making money online by balancing your investment time and money. With multi-level marketing, you essentially join a team to promote a product or service. The hard side about it is that everyone in the MLM network is attempting to promote the same products or services. You are likely to be recruited by someone who is also part of the system. This leaves the chances of making a substantial amount of income to be questionably slim. So given that multi-level marketing is not for everyone, there is one type of marketing that is reasonably easy, and that is affiliate marketing. With affiliate marketing, there is absolutely no selling involved. You don’t need to know how to sell products, neither do you need to have any previous selling experience. You simply connect with people with information they are already searching online, give them vital information to help in their purchasing decisions and get paid commissions on the purchases they make. With affiliate marketing, you don’t have to target your friends and family as you are essentially helping anyone with information on the Internet on things they are already searching. Affiliate programs are free, as compared to costly MLMs which need a substantial first investment. Doing MLM makes you not really your own boss, but affiliate marketing does. 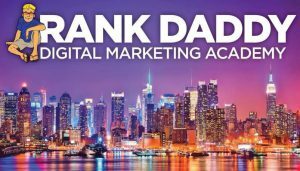 With affiliate marketing, it is very easy to get to appoint where you don’t have to work anymore, and your income will still continue to grow passively. Are you excited and passionate to get started in affiliate marketing? Would you want to gain the knowledge and insights on the ins and outs of this business to horn your skills to prosperity? The answer lies in your hands. It’s time to take the initiative. I’m right here to guide you to make baby steps up to prosperity. Here is a chance to join my Wealthy Affiliate program where you can learn the art of making money through affiliate marketing. Let’s get started HERE! I’ve been involved in a Network Marketing company before. It was called Utility Warehouse – very similar to the American Communication Network. But unfortunately, UW didn’t pay off, despite investing work and money in the biz opp. In fact, I was out-of-pocket with UW, which I’m sure is something that some Network Marketers can relate to. As for ACN, it appears to provide some good services, so it certainly isn’t a scam. BUT, I really don’t like the fact that there’s a big startup fee to become a partner and there are far too many ways to make money with it (with terms and conditions attached), in my opinion. Unfortunately, when it comes to MLM, you’re involved in a dog-eat-dog world that frustrates the heck out of you lol. Something most people don’t realize when they are getting into a MLM is how difficult it is to sell. Both the product and the opportunity. Every person in the MLM is trying to sell the products and recruit people into their network. Quickly, you run out of people to recruit within your warm marketing then you are out trying to sell/recruit to people you don’t know. Thanks for the review, Stephen. You have the first ACN review I’ve read on the WA network. I actually have a family member involved with the network and he’s doing pretty well with it. I agree though, you do have to be a pretty driven salesperson. And the people making the money early on will be the ones with good leadership skills. Those skills can be developed, but that will take some time, if it is even possible.